Now in its 7th year, MobileTECH is the major cross-industry event for New Zealand’s technology developers and primary sector leaders. 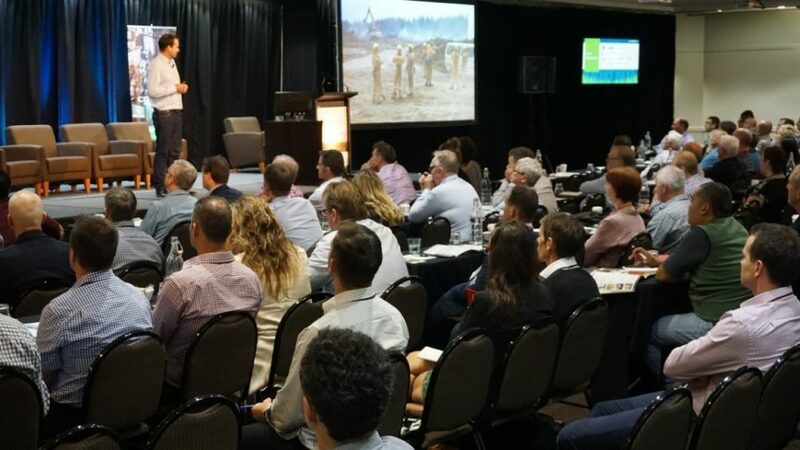 MobileTECH 2018 will be held on 3-4 April 2019 in Rotorua, New Zealand. This two day event showcases new and innovative technologies that are being adopted by agricultural, horticultural and forestry companies to increase their productivity and operational effectiveness. Over 300 industry representatives attend this event every year. The focus for MobileTECH 2019 is “Data with purpose”. The key message from last event was that business data, machine learning and decision making software are the catalysts for future growth. While we can now collect more data than ever before, the next step is how to get the right answers at the right time for the right purpose. How to better align technology with the needs of the sector. Which technologies, innovations and applications from each industry – agriculture, horticulture and forestry – can be picked up and applied. As digital technologies are transforming the industry, how will this impact on the skills needed to run your business and the ongoing ability to attract a new generation into the sector. Mobile technologies ⋅ Artificial Intelligence ⋅ Machine learning ⋅ Internet of Things ⋅ Blockchain ⋅ Cloud computing ⋅ Automation ⋅ Advanced sensors ⋅ Platform integrations ⋅ Connectivity ⋅ Big data ⋅ M2M ⋅ Robotics ⋅ Satellite mapping ⋅ Communications ⋅ Data ownership ⋅ Apps and more. If you are interested in being considered as a presenter, or would like to recommend an expert or innovator, please contact us by using the button below. Further details can be found on the event website, www.mobiletech.events.